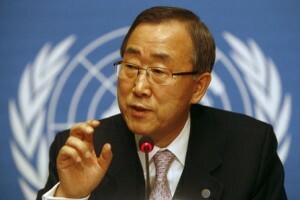 NEW YORK, USA - United Nations Secretary-General Ban Ki-moon has conveyed to the foreign ministers of Colombia and Venezuela that he “trusted” their countries would address the border challenges they faced through constructive dialogue, and offered his “good offices” mediation services if both parties so requested. Ban met on Friday at UN Headquarters with Delcy Rodríguez, foreign minister of Venezuela. This followed his meeting with Maria Ángela Holguín, foreign minister of Colombia, on 8 September. During the meetings, the UN chief took note of the foreign ministers’ views regarding the situation along the Colombia-Venezuela border and conveyed that he is following the situation with concern. The good offices and mediation roles of the secretary-general in the prevention and the peaceful settlement of disputes derive from the UN Charter and have been developed through extensive practice. These roles can be set in motion at the secretary-general’s own initiative, in response to a request from one or more of the parties to a dispute, or as a result of a request from the Security Council or the General Assembly.